<br><br><br>We are looking for experienced Bussers to join our team! We are an extremely Bar / Restaurant located in Times SQUARE We currently have an opening and we are looking for a dedicated part timer. <br>Our bussers must have:<br>- Professional demeanor <br>- At least 1 years busing experience<br>- Experience in fast paced and busy atmosphere<br>- basic food knowledge<br>- excited to work with people<br>- team player<br>-Read and speak English fluently. 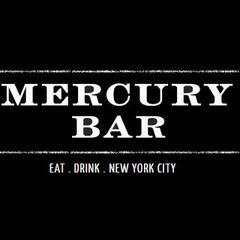 Mercury Bar West is posting their hospitality jobs on Harri. See what we’re all about.